CLOSEOUTS. 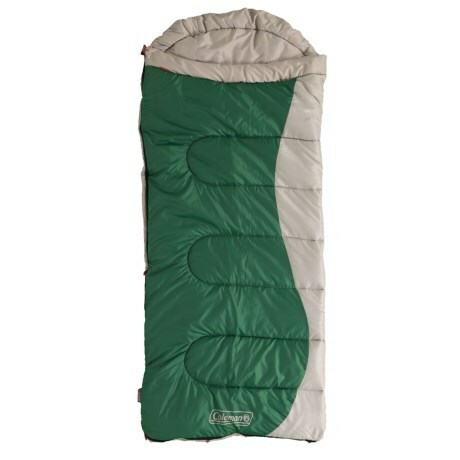 Colemanand#39;s 40and#176;F Brighton sleeping bag provides extra comfort while sleeping outdoors or away from home with its soft Comfort Cuff and synthetic insulation. Available Colors: BLUE/NATURAL, GREEN/NATURAL.